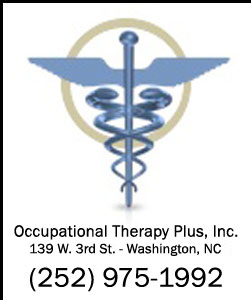 Thank you for considering Occupational Therapy Plus, Inc. for your therapy needs. At Occupational Therapy Plus, Inc. (OT Plus, Inc.) we take pride in providing quality rehab services. We strive to provide customized treatment programs in a friendly, courteous and respectful clinical environment. OT Plus, Inc. has been providing services for 25 years in eastern North Carolina. We are currently servicing nine counties in a variety of settings to include: School Systems, Child Development Service Agencies, Child Development Centers, Home Health Care Agencies, Daycares, and Hospital Out-Patient Clinics.  Mission Statement: Occupational Therapy Plus, Inc. provides services to clients of all ages who have physical and/or developmental disabilities. Our mission is to provide our clients with specialized occupational therapy services that in turn will help them function more independently and become a productive part of their community. OT Plus, Inc. recognizes that each client we treat is unique and all services are individualized to the lifestyle and life role that the client assumes. 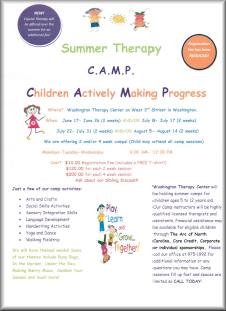 Washington Therapy Center (WTC) is a division of Occupational Therapy Plus, Inc. The goal of WTC is to provide Pediatric therapy services for children in a fun, friendly, and innovative environment. In turn, the skills learned from our dedicated and highly trained therapy staff will help children function more independently and effectively to become a more productive part of their community and the world as a whole. We take pride in providing the highest quality occupational, and speech & language therapy services available. It’s our belief that children thrive when they have the support and understanding of their Family and are having Fun in treatment without realizing they are in therapy. 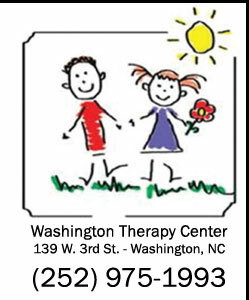 Here at Washington Therapy Center we believe in a Team approach when it comes to providing quality care; this means we make ourselves available to parents/caregivers, teachers, physicians, counselors and anyone else involved with the care of our clients.